When you call CitiClean Services to help move you into a new home or apartment, you'll really be home! Before you move your furniture and belongings into your new space, let CitiClean Services scrub it clean it for you. You deserve a clean and welcoming home. With the stress of moving and so many items on your to-do list, here's one that CitiClean Services can check off for you. Imagine walking in to a sparkling fresh home! We can vacuum, scrub the kitchens and bathrooms, even clean out all the drawers and insides of the appliances. We can take care of your Las Vegas move in cleaning! Just call (702) 803-2962 to make it happen! 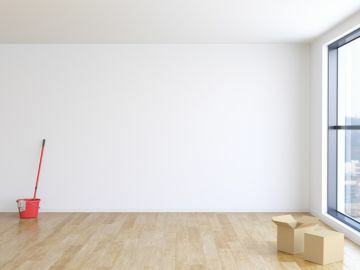 After you've cleared out your home or apartment, the work begins! Whether you are moving from a rental property or apartment and you want to be sure your full deposit will be returned, or have sold a home and want to welcome the new owners properly, call CitiClean Services to clean it to your specifications. CitiClean Services can handle your Las Vegas move out cleaning quickly and economically. We can tailor your move out cleaning to your specifications. Whether a basic "broom ready" move out cleaning in Las Vegas or a complete deep cleaning, call (702) 803-2962 to get it done right. Keeping your rental property clean and welcoming for weekly or seasonal guests is one of CitiClean Services's specialties. There are few things worse for a consumer than checking into a vacation rental only to find that steps were missed. Maybe the beds weren't made or the bathrooms weren't fully cleaned and sanitized. When you call CitiClean Services to clean your rental property in Las Vegas, you can rest assured that all details will be completed, not just checked off. We pay attention to those little details that make all the difference in creating a highly satisfactory customer experience. Rest assured that your rental unit in Las Vegas will be clean and ready to welcome your incoming guests. Call (702) 803-2962 for a free quote for your vacation rental property.